The Salcombe Shirt by Schoffel is a beautifully designed cotton top, perfect for year-round comfort and wear. 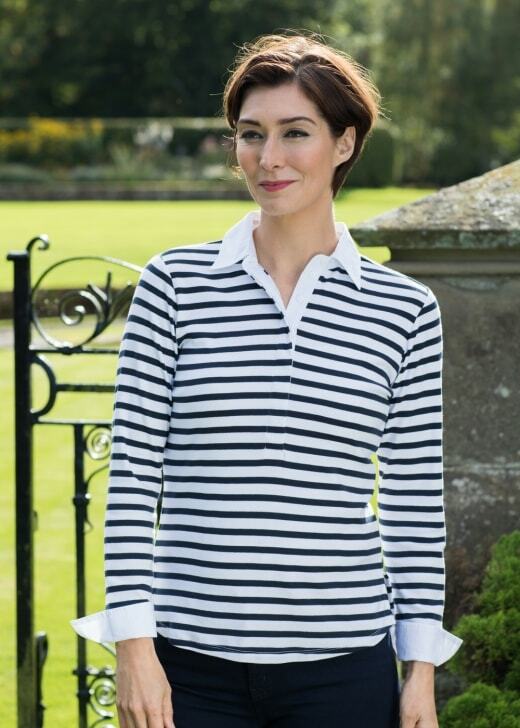 The Salcombe Shirt by Schoffel is a beautifully designed cotton top, perfect for year-round comfort and wear. With a flattering feminine fit and lightweight feel, this striped top is great for layering, making it a must have for any wardrobe.